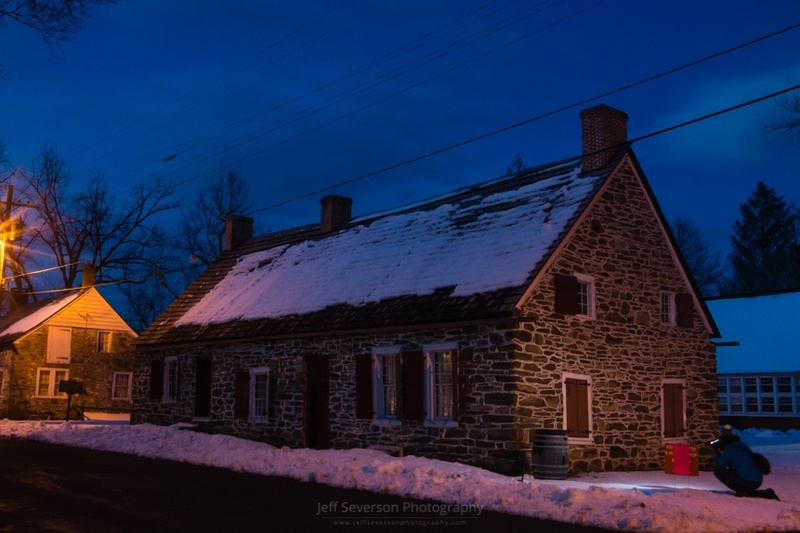 The Abraham Hasbrouck House at Historic Huguenot Street in New Paltz, NY on a March evening. Huguenot Street is considered one of the oldest continuously inhabited settlements in the United States. This photo was taken on March 9, 2018 with a Canon EOS 70D at 24mm and a 10 second exposure.